Sorry, you can only order up to 634 units of this product! 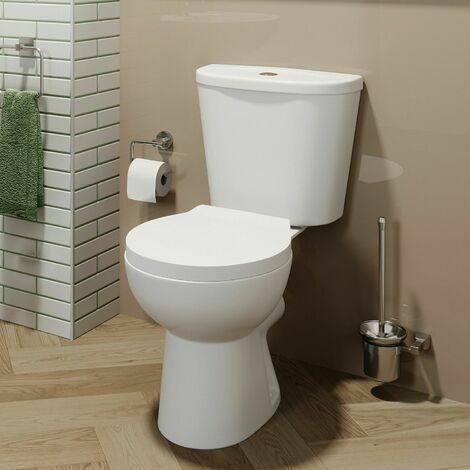 The Essentials Budget Close Coupled Toilet is defined by its slimline appearance that's unequalled in terms of matching with a contemporary suite. A stylish and affordable part of making bathroom suites of your dreams. Save water due to the inclusion of a dual-flush push button cistern. A family of four can expect to save an estimated 17,000 litres of water in the bathroom, as you'll never have to use more water then you actually need when it comes to flushing the toilet. Within this package you'll receive the pan, seat and cistern with internals meaning you can have it fitted in no time at all. dual flush will allow you to save water by choosing to use either a 3 litre eco flush or a larger 6 litre flush.